The Queen City Market is a curated one day, one-stop-shopping event showcasing an exceptional mix of artisan crafters and vintage sellers from Western New York. Karpeles Manuscript Library Museum on 453 Porter Ave, Buffalo, New York 14201, from 11am-5pm. 2018 might have been the best year yet - and we have all of you to thank! 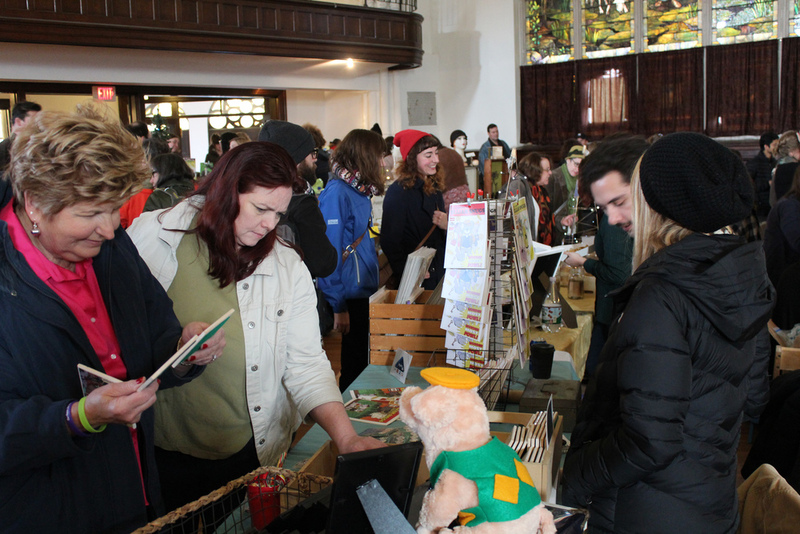 To all of our shoppers who stopped in, the vendors for being the amazing creative wonderful people you are, the food trucks for keeping everyone full and Karpeles Manuscript Library Museums for housing the event. None of this could be possible without all of you - so thank you for shopping small & local and we hope you have a great holiday season full of friends & family. See you in 2019! The Queen City Market hopes to foster the growth of local independent vendors and artisans through active participation. We strive to assist each vendor in the success of their business by organizing collaborative community markets such as this and by continuing to seek out new talent for future events. In the end, the success of each participant is the success of the Queen City Market. Applications were open from August 1, 2018 - September 20, 2018. All applications are juried and vendors are selected based on product quality and section availability. This year we will only be accepting applications through our form service, which you can read about here. Thank you for signing up to the Queen City Market's mailing list!